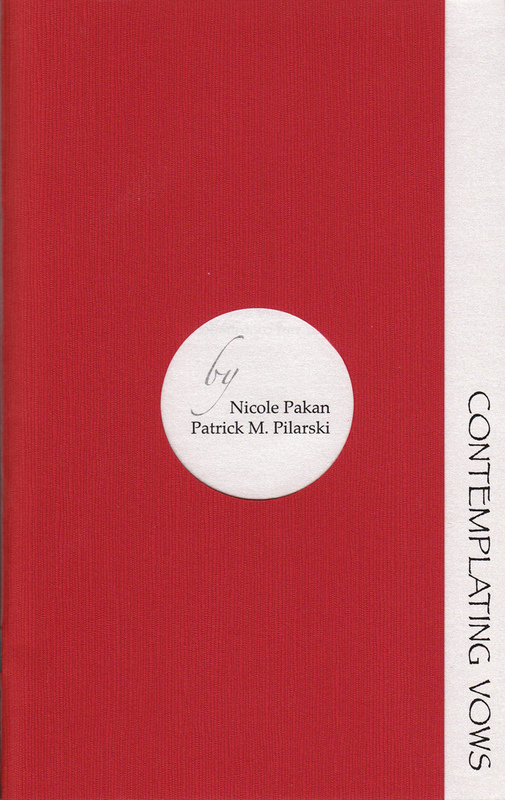 Patrick M. Pilarski is the co-editor of DailyHaiku, an international journal of contemporary English-language haiku, and has served as poetry editor for its sister publication, DailyHaiga. 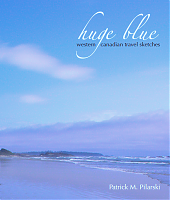 His first full-length collection, Huge Blue, was released in 2009 by Leaf Press, and he is the author of two chapbooks: Contemplating Vows (2011, with Nicole Pakan) and Five Weeks (2007). Patrick's poetry has appeared in journals and anthologies across North America, Europe, Australia, and Japan, recently including The Fiddlehead, The Antigonish Review, Literary Review of Canada, The New Quarterly, filling Station, Carousel, Modern Haiku, and on CBC Radio One as part of the CBC Poetry Face-off. Patrick has served on the organizing committee for the Edmonton Poetry Festival, and as Vice President of the League of Canadian Poets. He is an Assistant Professor in the Department of Medicine at the University of Alberta. please scroll down or click here. Patrick has been actively writing and performing for over ten years. His poetry has made numerous public appearances, including WordFest, the CBC Poetry Face-off, The Roar: Spoken Word Festival, Planet Earth Poetry, the 44th Avenue Troubadour Series, and the Edmonton Poetry Festival, and has been translated into Japanese, French, and German. Recently, his short-form work was featured in the anthologies Take Five: Best Contemporary Tanka, Volume 2 (Baltimore, MET Press, 2010), contemporary haibun, Volume 11 (Winchester, Red Moon Press, 2010), and he was awarded 2nd Prize in the 2009 Mainichi International Haiku Contest. Other projects include five complete but neglected novels. Patrick is an active member of the League of Canadian Poets, Writers Guild of Alberta, Haiku Society of America, Tanka Society of America, Haiku Canada, and the Edmonton Stroll of Poets Society. A supporter of spoken verse and live theatre, Patrick regularly performs at the Raving Poets, The Poets Haven, and The Edmonton International Fringe Festival. Acting highlights include appearances as KoKo in The Mikado (Sherard), Perchik in Fiddler on the Roof (ELOPE), and Chase in Finer Noble Gases (Basic Acid Theatre). He has produced and acted with Edmonton's Basic Acid Theatre. 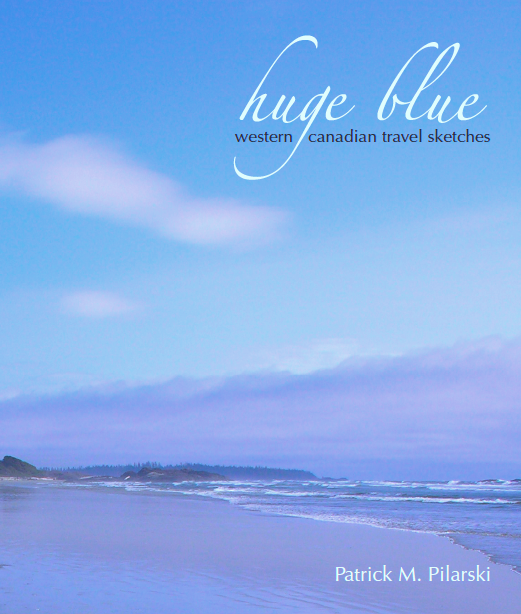 Huge Blue: Western Canadian Travel Sketches. 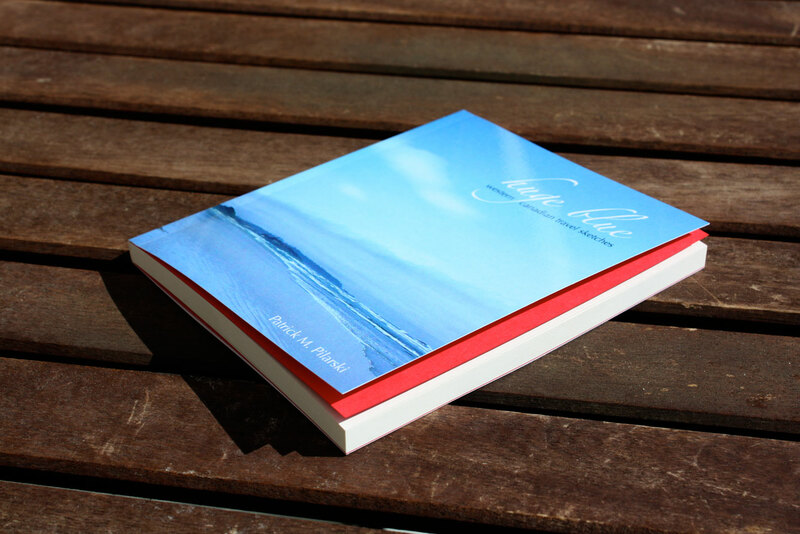 Lantzville, BC; Leaf Press (2009, poetry). 104pp. ISBN 978-1-926655-02-4. Contemplating Vows (with Nicole Pakan). Edmonton, AB: Katabatic Books (2011, poetry). 28pp. ISBN 978-0-9868871-0-9. Five Weeks. 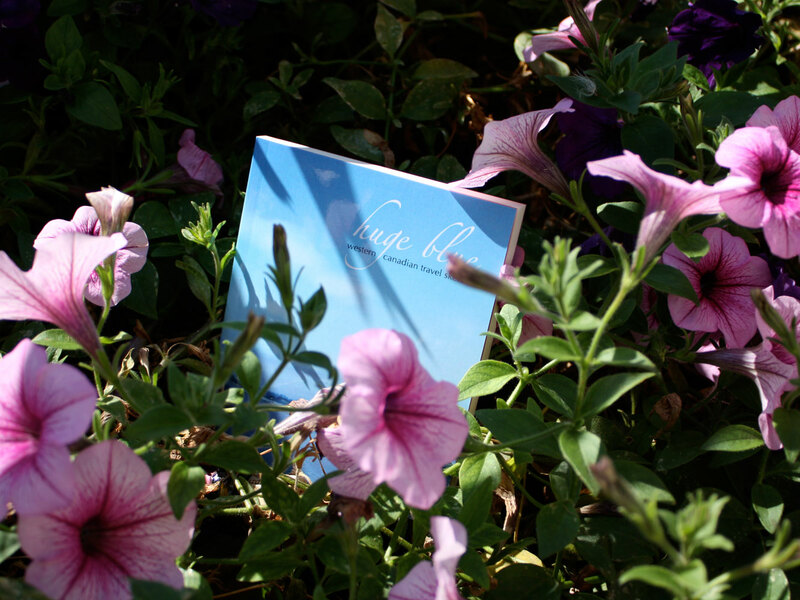 Edmonton, AB; self-published (2007, poetry). 48pp. ISBN 978-1-4303-2050-0. Found in Translation: an Anthology of Translations from the 2010 Edmonton Poetry Festival. Edmonton, AB; Edmonton Poetry Festival Society (2010, chapbook). 32pp. ISBN 978-0-9866101-0-3. 42opus, Acorn (USA), The Antigonish Review, Asahi Haikuist Network (International Herald Tribune / Asahi Shimbun Newspaper, Japan), Atlas Poetica (USA), blood ink, BluePrintReview (Germany), blue skies poetry, bottle rockets (USA), Branch Magazine, Carousel, contemporary haibun online, Chrysanthemum (Austria), CV2, DailyHaiku, DailyHaiga, Eucalypt (Australia), fait accomplit, The Fiddlehead, filling Station, Frogpond (USA), Haibun Today, Haiku Canada Review, The Heron's Nest, Literary Review of Canada, Lynx, The Mainichi Daily News (Japan), Matrix Magazine, Misunderstandings Magazine, Modern English Tanka (USA), Modern Haibun & Tanka Prose (USA), Modern Haiku (USA), Monday's Poem, The New Quarterly, Notebook Magazine, Other Voices, paper wasp (Australia), Prairie Fire, The Prairie Journal, PRISM international, Prune Juice (USA), Quills Canadian Poetry Magazine, RATTLE (USA), red lights (USA), Ribbons (USA), Roadrunner Haiku Journal, The Rose & Thorn, SEE Magazine, Shamrock Haiku Journal (Ireland), Simply Haiku, Spire, The Toronto Quarterly, tinywords, Vallum, Wisteria (USA), White Lotus (USA), and the World Haiku Review. Take Five: Best Contemporary Tanka (MET Press, 2009, 2010), Home and Away (House of Blue Skies, 2009), contemporary haibun (Red Moon Press, 2009, 2010, 2011), seed packets: an anthology of flower haiku (bottle rockets press, 2009), The Unseen Wind: British Haiku Society Haibun Anthology 2009 (BHS, 2010), One Hundred Droplets (Magnapoets, 2009), While The Light Holds (Magnapoets, 2009), kitchen window: the paper wasp jack stamm anthology 2008 (paper wasp, 2009), The Edmonton Stroll of Poets Anthology (Edmonton Stroll of Poets Society, 2006, 2007, 2008, 2009, 2010), The Killer Blinks Chapbook Anthology (Edmonton Stroll of Poets Society, 2007, 2008), in the clear dawn sky (Haiku Canada, 2009), Shape Shifting (Haiku Canada, 2010), A Travel-Worn Satchel: the 2009 Haiku Society of America Members' Anthology (Deep North / Haiku Society of America, 2009), and dandelion clocks: the 2008 Haiku Society of America Members' Anthology (Haiku Society of America, 2008). 2012 Vancouver Cherry Blossom Festival Haiku Invitational, Canada Section — Sakura Award. 2010 Sundress Best of Net Awards for Poetry — finalist. 2010 Vancouver Cherry Blossom Festival Haiku Invitational, Canada Section — honourable mention. 13th Mainichi International Haiku Contest, 2009 — 2nd Prize. 2009 TSA International Tanka Contest — honourable mention. 2008 paper wasp jack stamm haiku award — finalist. The following is a list of all official images, press releases, and other related documents. They are provided in JPG or PDF format and can be downloaded by right-clicking on the links. For additional high-resolution headshots and other promotional photos or material, please use the site contact form and list your application, size, and content requirements. The following is a list of selected media coverage regarding Patrick and his projects. Where available by copyright agreement, images and full-story PDF files will be provided.